I get letters / emails from my customers thanking me for taking them out an giving them an experience they won’t forget. Here is a recent letter. 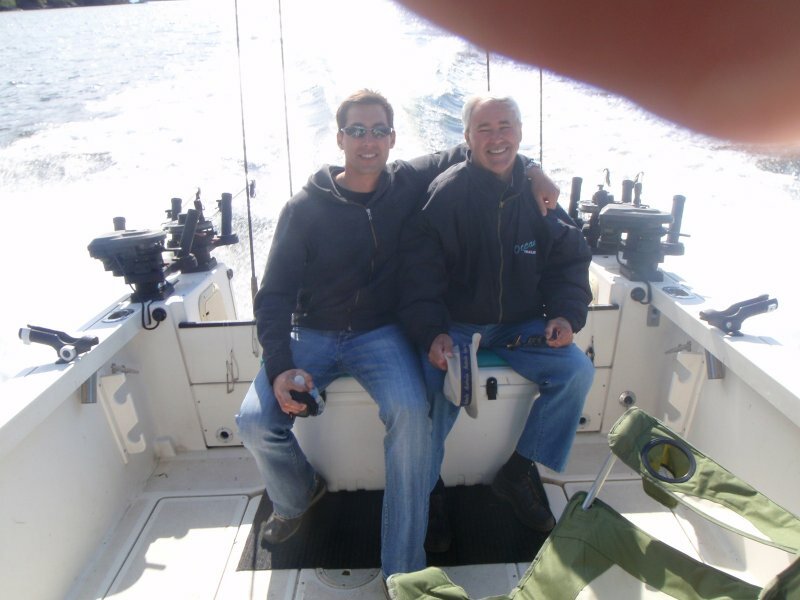 Thank you for selecting Watermark Charters, and it will always be a pleasure to take you out fishing! Mark I just wanted to thank you so much for our fishing trip yesterday, we are excited to take home the great Salmon and Crabs as well as great pictures and memories of our adventure. You were very well versed on what it took to catch fish and honest as to when our best chances are. With our schedule holidays are a rarity and now we will most certainly book them all with your charter service. Thank you for a wonderful and honest day of fishing. We will be back and certainly now know where to send our friends that want to go Salmon fishing. Hey Mark. Thanks again for a great day. We had the crabs and salmon for dinner prepared a few different ways which was great. Attached are the pictures that were taken during our fishing trip this Wednesday. It is quite astounding that you were able to locate some terrific fish this close to Vancouver; it was the perfect trip for my dad and I! The scenery, your expertise, and our ultimate success ensure that this will be a trip that will be talked about for years to come. This trip has continued to pay dividends for the past couple of days, as we were able to share our experience and bounty with friends and family. Upon our return on Wednesday evening, we prepared the crab in less than 5 minutes and thoroughly enjoyed the succulent meat for the next 2 hours! Last night, we cooked the large Chinook for friends and family. I can honestly say that that this was one of the best salmon BBQ’s I’ve ever had. Next time I’m in town, I’ll be sure to call on you for another professional fishing experience.